Hello and Thank You for checking out our latest listing of a Shelby GT 500 by The Motor Masters! Folks, it doesn’t get any better than this!! 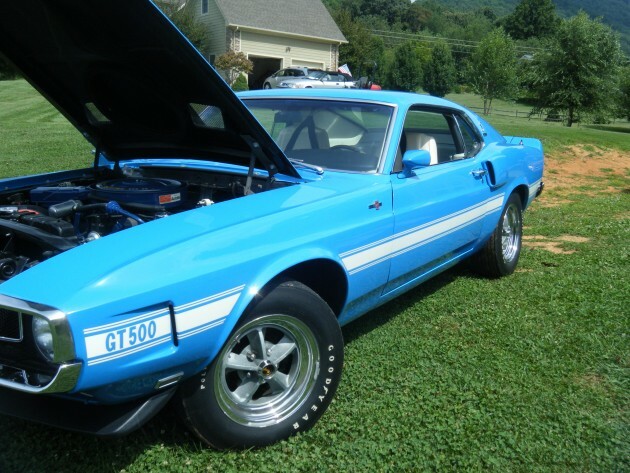 Up for sale is a 1970 MATCHING VIN UNMOLESTED SHELBY GT500 WITH 69,000 ORIGINAL MILES! The Exterior is the BEAUTIFUL GRABBER BLUE with IVORY Interior. THIS IS A 3 OWNER CONSIGNMENT VEHICLE LOOKING FOR A NEW HOME! The Shelby GT500 has many features and options! It has the 428 Cobra Jet Engine, Automatic Transmission, Factory Wheels, Roll Bar With 3 Point Harness Belts, All Shelby Equipment, Copy Of Shelby Build Sheet, Factory Invoice, Correct Shelby Tags, Original Books, and Marti Report. Body and Interior are in IMMACULATE UNMOLESTED CONDITION. Has Factory Front Spoiler. Original Type Polyglass Tires. Original Spare Tire & Jack. This Collectible is a TRUE SHOWPIECE to take to shows! It is a 95 out of a 100 Point Rating and is Appraised at the Asking Price! ONLY 470 SHELBY GT500s PRODUCED IN 1970 AND ONLY 11 WERE GRABBER BLUE!!!! THIS IS AS RARE AS YOU CAN GET!!! VISIT OUR OTHER ITEMS UP FOR SALE, INCLUDING OUR AUTO CARE PRODUCTS AND SPORTS BANNERS!!! BUY WITH CONFIDENCE!!! WE HAVE A 100% POSITIVE FEEDBACK RATING FROM ALL OF OUR CUSTOMERS!!!! !